I made the perfect choice in choosing Terry as my instructor. He was thorough and patient with lots of useful tips on all aspects of driving. I found the LDC workbook and DVD very useful. It outlined the targets that Terry needed to cover with me for each fully structured lesson allowing me to keep track of my progress. It also allowed me to study the skills and manoeuvres in advance of my lesson. 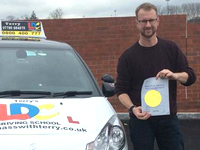 In each lesson Terry was very clear in his instruction, patient and gave encouragement in helping me to achieve control and understanding in my driving. 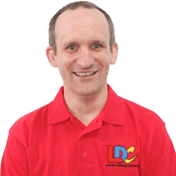 I felt that Terry went out of his way to accommodate my schedule to fit in the lessons, I would not hesitate to recommend him as a great driving instructor. Thank you.